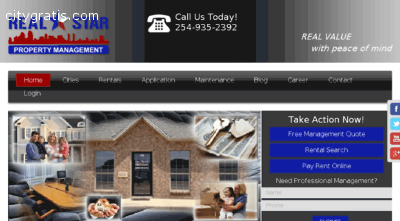 REAL Star Property Management, LLC, provides effective management services in Killeen, TX. The staff at the firm handles maintenance work, conducts tenant screening and also collects monthly rent. For more details about property management services offered in Killeen, call at (254) 693 – 7850.